Rara Lake Tre takes place in the beautiful Rara National Park. Rara National Park, the smallest national park of the country, spreads over an area of 106 square kilometer and is situated in Mugu district of the western Nepal. A journey to Rara lake is one of the most incredible and fascinating treks in all the Himalayan range. The Rara Lake Trek offers unsurpassed views of Rara Lake and mountain scenery, chance of spotting wildlife such as musk deer and black bear, ruins of the Malla dynasty's old palace. Chuchemara Danda at the elevation of 4087 meters is the best vantage point during the trek to get the magnificent views of the deep blue serene lake and highly forested hillside with the snow-capped peaks on the backdrop. 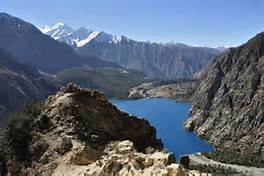 The final four days of the Rara Lake trek offer superb views over Mugu, the southern mountains of Humla and the border ranges of Tibet. The Rara lake trekking trail takes us through grassy alpine pastures and remote villages, before descending steeply off the second pass to Jumla. From here, we fly back to Kathmandu via Nepalgunj. If you are looking for wilderness and solitude in the beautiful western Nepal, the Rara lake trek is an ideal choice. Day 17 - Departure Kathmandu. Our tour officers pick you up in the Hotel to drive to Domestic airport after breakfast. We take nearly an hour scenic flight to Nepalgunj, a city in the western region headquarter of Nepal which is in the lowland. We stay overnight in Nepalgunj. Fly to North from Nepalgunj crossing several hilly regions. If weather stays good we view spectacular snow-capped mountains to the east and west. Jumla town is in a delightful valley and here are the highest limits of paddy cultivation, growing red rice. 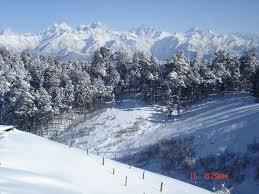 The town is the administrative headquarters of the entire Karnali zone and Jumla district. Local regulations have declared Jumla a dry district, so no alcohol is available. We start our trek by following the north bank of the Tila Khola River and then turn north following the Chaudhabise Khola passing through fields and pine forests. We will ascent up the Padmara valley. Our trail keeps following the river until we arrive at the small village of Uthugaon, where we will have a good campsite close to the school on the opposite site of the river (4 hrs). After our breakfast we will follow the trail through this narrow canyon to the village of Padmara at 2900 m. Our path then climbs to the Khali Lagna pass at 3550 m through a deep forest of pines, spurches and firs. Shortly after this pass both routes come together and the trail then descends gently through mixed forest of spruces, birches and rhododendrons to arrive at our campsite at Danphe Lagna. Here the colourful national bird of Nepal (the Himalayan monal, or impeyan peasant) has been spotted many times at the edge of our campsite (4 hrs). The trails descend gently alongside the stream to two bhattis (teashops) at Tharamara (3280m) and the descending more steep passing through fir, birch, and walnut and bamboo forests. After crossing a bridge at 2680 meter we follow the river downstream before starting a serious climb passing some water-driven mills to Kabra. Here is a huge overhanging rock which is the source of silaji, a mineral which is believed to have “healing” properties. It is exported to India and it is believed by people that ‘there is hardly any curable disease which cannot be controlled or cured with the aid of silaji……’ Our steep climb continues for a while and then levels out before Bhara (classic Tibetan style village). After this village we then descend to the Chauro Khola river to the village of Chautha (6 hrs). Our trail continues to follow the stream uphill to Bhulbule, the RaraNational Park entrance station at 3130 meter. Our path continues climbing gently to Ghurchi Lagna pass (3450m) which is covered with an assortment of chortens (round stone Buddhist monuments) and prayer flags. From the pass the route descends gently at first before dropping down precipitously through spruce forests. The path levels at about 2900 meter and continues more or less level to the small settlement of Dhotu were our camps of the day will be (5:30 hrs). It is a short, pleasant trek with fine views to the north. From Dhotu, we traverse a steep north facing slope and cross a series of fields down to a small stream. Crossing the bridge, we climb up to the Thakuri village of Jhyari (2630m). From Jhyari, we climb steadily up through cedar forest to a huge meadow atop a 3050 meter ridge with great overhead views of RaraLake. We will follow the trail along to the northern side of the Lake, where the park headquarters and the camping ground are situated (4 hrs). Rara Lake is the largest lake in Nepal. It is almost 13 km around the lake and a day devoted to walk around is well spent. Designated a national park in 1975, this region offers remoteness and a wilderness experience unlike any other region of Nepal, where birds, flowers and wildlife thrive. Among the mammals in this region are Himalayan bears, serows, gorals, musk deer, red pandas and both rhesus and langur monkeys. The 170 meter deep lake is a habitat for otters and an important resting place for migrating water fowl. From the bridge at the western end of RaraLake the trail will follow theKhatyarKholaRiver. We will keep following this river slowly descending before we climb out following a small trail surrounded by pine, spruce and rhododendron forests. We follow our path dropping into the Ghatta valley heading towards the small settlement of Gorosingha where there are several excellent campsites (5 hrs). The route keeps heading down the Ghatta valley from Gorosingha following theSinjaKholaRiver downwards to Sinja. From the 12th to 14th century, Sinja was the capital of the Malla dynasty that ruled western Nepal. The ruins of the old palace can be seen across the river. There is an interesting temple here dedicated to Bhagwati, the goddess of justice who rides atop a tiger (5 hrs). From Sinja, the trail crosses the Sinja Khola on a wooden cantilever bridge. After passing a few small villages, the trail crosses back and forth across the river on a series of quaint log bridges. Most of the trek is through forest of pine, birch and oak and fields of barley and corn. Then the trail makes a steep climb to Jaljala Chaur, a gigantic meadow full of horses (6 hrs). Keep climbing through forest to yet another meadow, just below the ridge at 3510m, then a pleasant descent to Jumla (4 hrs). We end our LakeRara trek here in Jumla District Headquarter and be ready to fly in the morning to Nepalgunj and same day flight to Kathmandu. You have leisure time in Kathmandu in the whole afternoon to choose good restaurant in the town which our guide can happily recommend you. 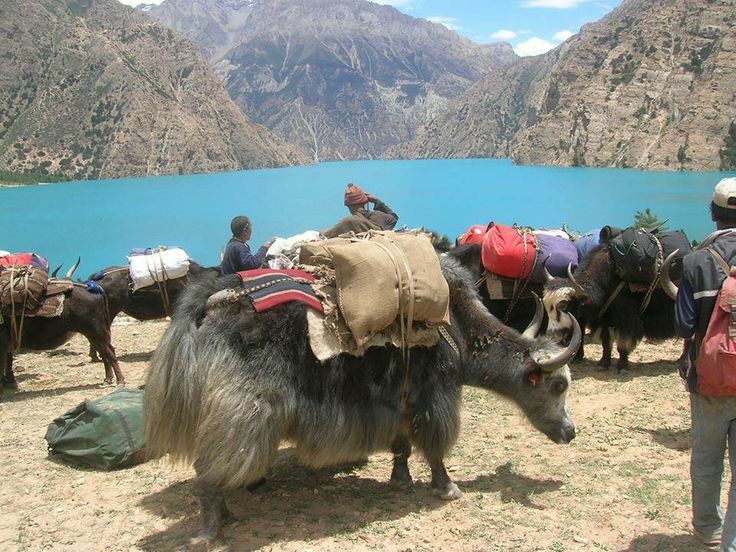 We pick you up early in the morning to transfer to Domestic airport for one of the “world’s must do” EverestMountain flight for an hour in 5 nautical miles from the awe inspiring Mountains. You will be par excited after the Mountain flights. We pick you up after the Everest flight and transfer to Hotel. After the Breakfast, Leisure Time in Kathmandu. It’s indeed time for the souvenir hunting around Kathmandu’s noted places having optional trip to tranquil historic Heritages in your own or with us or with our versatile guide. We provide extra drive and drop services anywhere in Kathmandu. Collect your baggage and we have time for last minute goodbye courtesy. We expect to see you again in next incredible journey in Nepal. We wish you happy journey back home. Cherish the memory for ever!